FC Barcelona picked up their third straight Copa del Rey trophy after a 3-1 win over Alavés on Saturday night and, in doing so, conjured up some impressive numbers. 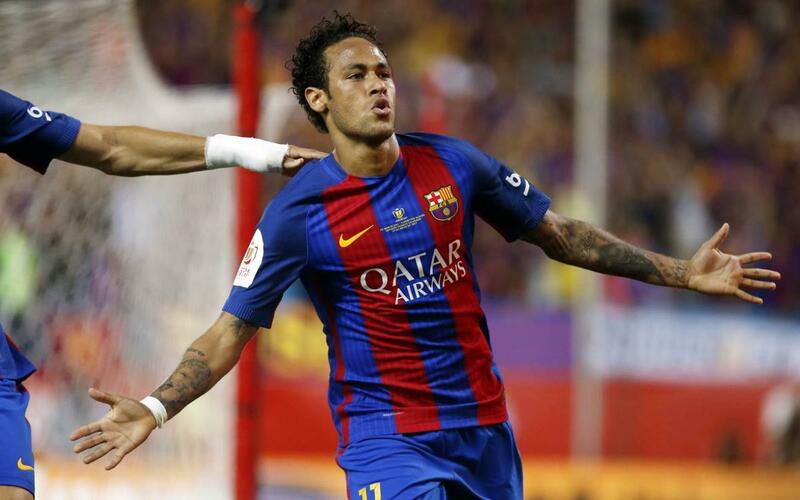 - With his key goal that made it 2-1, Neymar has now scored in three consecutive cup finals, something last managed Ferenc Puskás. - It has been over six decades since a team last won three Copas on the trot. Barça, back in 1951, 52 and 53 were the last side to do so. - Messi is the first player to score in four Copa finals (2009, 2012, 2015 and 2017) since Telmo Zarra (5) in the ‘50s. - Over the course of the season, Messi has scored the game goals as Alavés (54). The Argentine was the joint top scorer in the Copa with five along with Sevilla’s Ben Yedder. Messi was the league’s top scorer with 37 and is currently the leading marksman in the Champions League with (11). - Barça’s no.10 is the man for the big occasion, scoring 26 goals in 25 finals across various competitions, as well as 11 assists. - Messi is the club’s third record scorer in the Copa del Rey with 44, behind only Samitier (64) and Kubala (49). - Luis Enrique has won all but one of the five finals as manager of FC Barcelona, and lost just one match in the Copa del Rey in the three years he was at the helm. - To win this Copa del Rey, Barça overcame five teams: Hércules, Athletic Club, Real Sociedad, Atlético Madrid and Alavés. Across the nine cup matches this season, Barça have won six, drawn two and lost one with 24 goals scored and 15 conceded. - Luis Enrique used 25 different players in the tournament, including five from the reserves: Marc Cardona, Nili, Borja López, Carles Aleñá and Àlex Carbonell.